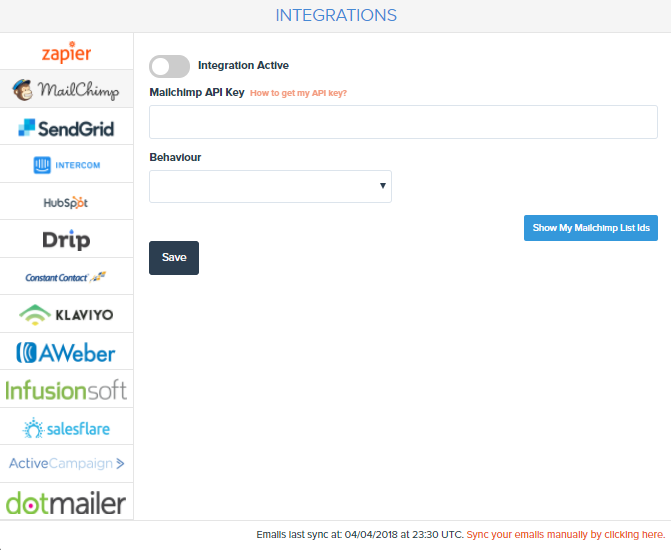 Connecting GrooveJar with your email automation platform. You can use Collect & Convert to send out a series of triggered emails. But if you want to take your email marketing up a few notches, use GrooveJar to collect your leads then have your Email Service Provider (ESP) send out the emails. Here's how to Integrate with your ESP. Head to the Leads tab on the menu bar. Here you will see a list of all your leads. You can even delete leads (if you need to) from GrooveJar by hitting that red trash can icon. A pop-up will appear and you can select your services accordingly. Follow the instructions from there. Fill out the criteria by inserting access tokens, API keys... et cetera.